NOTE: This content is old - Published: Wednesday, Mar 23rd, 2016. An ‘independent peer review’ which could see the former Groves School made into a listed building has been requested. Yesterday Wrexham.com reported that further attempts for Wrexham Council to reconsider their decision to demolish the school, are to be made by opposition councillors at this afternoon’s Full Council Meeting. However the Groves tale has taken another turn just hours ahead of today’s meeting, with Wrexham.com seeing a letter addressed to Wrexham AM Lesley Griffiths stating that an ‘independent peer review’ has been requested for the building. The letter, which was sent by the Deputy Minister for Culture, Sport and Tourism, Ken Skates notes that he is ‘minded to list Grove Park School’ however the ‘listing of twentieth century buildings where there are greater levels of survival is not straightforward’. It follows a request made to CADW in February 2016 to list the former girls school. The Minister continues onto say: “I have therefore requested an independent peer review of the listing assessment, which will be completed by mid-April and a final decision will be taken after this decision has been made available. 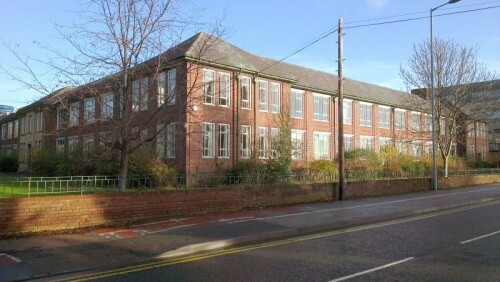 In January Wrexham.com reported that demolition of the former school could begin in a few weeks time, with the process expected to be completed by August 2016. However the Minister continues onto say that he hopes ‘Wrexham Council will await the final listing decision before making any decision to demolish the school’. The Groves is set to be debated on by councillors at the Full Council Meeting at 4pm. For those who can’t attend the meeting, it will be webcast live on the Wrexham Council website.